I am a huge Resident Evil fan. As a child, I played the PlayStation 1 entries – the series debut and its two sequels – to the point where I could finish them all in a single day. The series has changed somewhat over the past years, infuriating the purist fans thanks to the more action-orientated approach, yet making new ones in the process too thanks to undeniably fun gameplay. When I played the first Revelations on the 3DS, it was a pretty darn decent return to form. There was a ton of action, yes, but there was also elements that really took the game back to the roots of the series. I really enjoyed it, and have been awaiting the sequel eagerly. Its finally here, albeit in episodic format. With expectations high, I took episode 1 for a spin. I most certainly am not disappointed thus far. 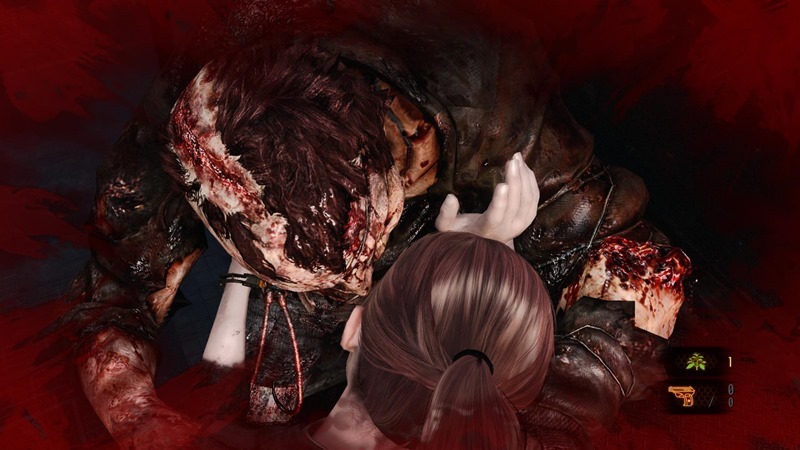 Set between Resident Evil 5 and 6, Revelations 2 kicks off at a TerraSave party where we meet the familiar redhead, Claire Redfield. She hasn’t been properly playable since way back in Code: Veronica. Joining her is series newcomer, Moira Burton. It’s her first day on the job, and it’s a darn shame for her, because the party she is attending is cut short by a group of masked enemies. Way to throw her into the deep end, Capcom! One cut scene later, both our ladies find themselves alone and in a prison/detention centre of sorts. The problem is, surprise, everything isn’t quite what it seems. 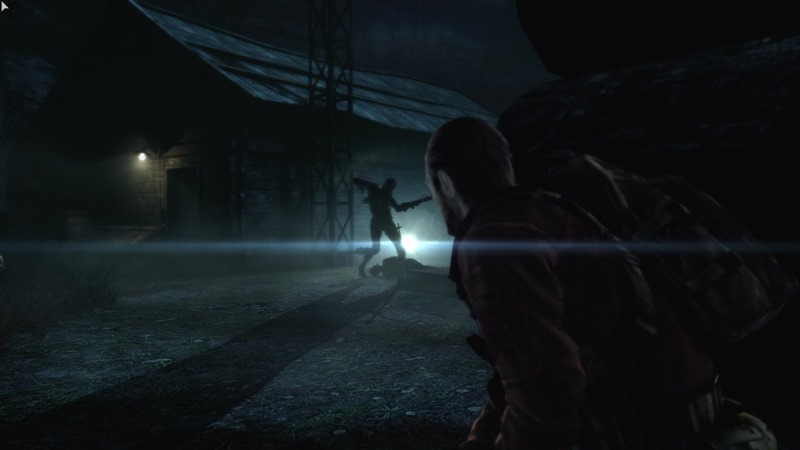 Apart from being kidnapped, the facility is home to an assortment of bizarre enemies, and Claire and Moira need to work together to ensure their survival. Claire, perfectly accustomed to shooting things in the face, makes up the action orientated role. Moira, having some sort of issue with firearms, is more of a support, opting to operate the torch which, apart from providing some much needed lighting in dark areas, is also handy for spotting hard to see items and blinding enemies temporarily. Moira isn’t useless in terms of offense either. She is happy to use a crowbar à la Gordon Freeman which comes in handy for pulling the bars off barricaded doorways too. The pair make their way through the facility, accompanied by a mysterious female voice that speaks from the strange bracelets they now find themselves wearing. 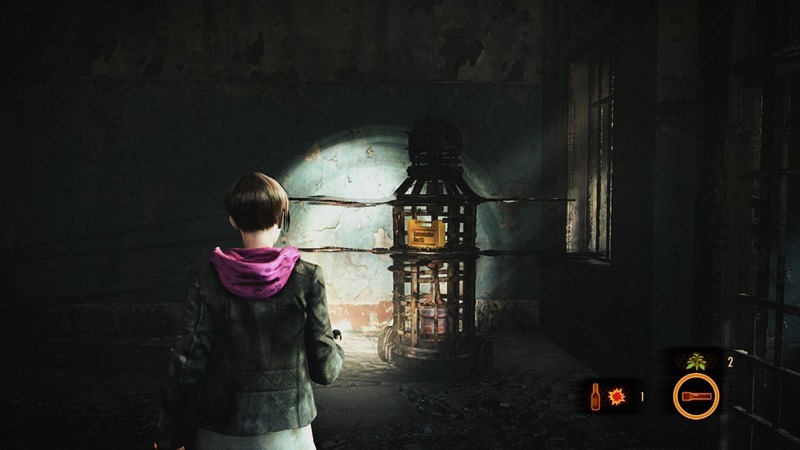 It’s all presented nicely; flickering lights, danger around every corner… it makes for some tense gameplay, but it’s not quite the cold sweat inducing stuff that some people might be craving. If you don’t spray and pray, there is more than enough ammunition to see you through the stickiest of situations. It’s also possible to dodge, giving another, very slight edge over the hulking beasts who are out to eat faces. The fact that you are playing as a pair works in your favour too. Switching between Claire and Moira is easy and seamless, and good thing too, because you need to swap between them pretty often if you want to be efficient at not dying. Later on in the episode, you get to take control of Barry “almost a Jill sandwich” Burton. He is looking for his daughter Moira, and arrives at the very same place he believe she is being held. His co-op partner turns out to be a creepy little girl he comes across, Natalia. Similar to Claire, Barry fills out the pewpew role, except that he has more firepower at his disposal. It’s a good thing too, because Natalia might be great at supporting (she can sense enemies through walls… creepy), but she’s completely useless in a fight. Barry has to dispatch everything alone. The best Natalia can do is throw bricks to stun enemies, which honestly, is pretty useful. 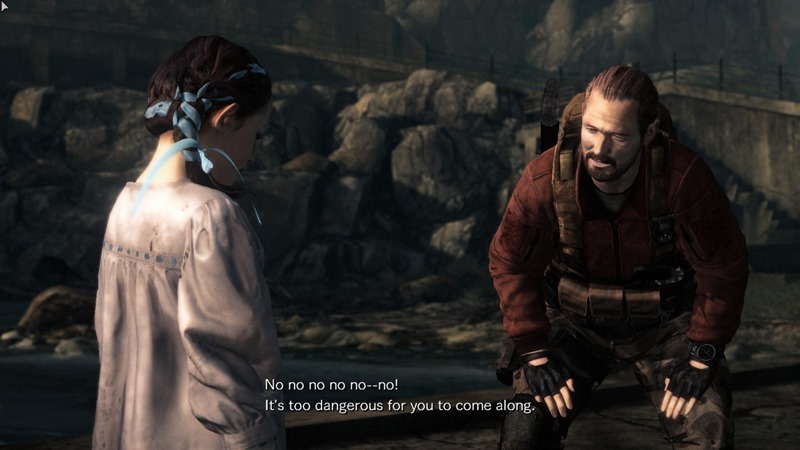 They navigate the very same facility that Claire and Moira are at, except they uncover new areas and are forced to take alternate and new paths thanks to whatever blockade or impassable terrain that Claire and Moira have left behind. It works out nicely – I never once thought that Capcom did this as an excuse to recycle or rehash existing areas to extend game time. Speaking of which, the episode is perfectly bite-sized, taking me a little over two hours to complete. There are another three on the way (as well as another two which will flesh out the story of newcomers Moira and Natalia), which are to be released weekly. At $5.99 a pop (or $24.99 for everything), I consider that decent value, especially for a game which doesn’t seem to have skimped on production value. What extends this value is the accompanying Raid Mode. It let’s players choose a character, weapons (which are customisable via upgrades), and perks, and put them through a series of side missions. I remember it from the first Revelations, and it made for a glorious, fun, time sink. Sadly, my Revelations 2 refused to let me load up Raid, instead opting to crash to the desktop each and every single time. Hopefully this will be sorted out soon, because I really, really want to play more. I know this episodic approach annoys some people. Personally, I think it works perfectly. Like a good television show, episode 1 concluded on a twist, leaving me wanting more. If you are the impatient type, you could always just wait a month – all the episodes will be out by then.